This title and office may lead many to shudder inwardly, yet those eager ones who are willing to surrender to their own higher essences, to allow their Higher Self to take up residence within, yearn for my assistance in their transformative process, even if they do not yet know my name or even of my existence. Few are those of the Archangelic Realms that have embodied upon your lovely planet, but I have. I was embodied as the Prophet Ezekiel and a priest of Israel. The story of initiation and ascension is interwoven within the ancient holy books of your planet if you but take the time to unravel it from the lies and half-truths also written within. The stages of initiation that Jesus went through during his own life are ones that many of you are undergoing even now, although you may not yet be aware of it. Ascension is a process wherein the energy centers of the physical body are reactivated. The glandular system comes online, the DNA stored within the cells becomes ignited and the knowledge stored within the sacred library that is your body vessel begins to unfold and reveal itself to you, like a blossom slowly unfolding in the warmth of the morning sun. The Sun is your Christ Self, your soul, which has ever dwelt within the etheric heart center, located above the Thymus gland within your physical body. Long ago, when your DNA was altered and taken mostly offline, whole portions of your body vessel suffered a similar fate. Scientists have long puzzled over the function of some of the glands, not realizing that they only function when the body is able to sustain higher levels of frequency energies. Now, that time for reawakening has arrived and, indeed, has been in process for quite some time. It has taken a while for humanity to begin to take notice of the advent of the Christ within, but now, there are those who are realizing that you have a contract to be one who will learn of these things and apply to learn more about who and what you really are. Your totality cannot be fully imagined by your human consciousness, yet you can begin to see that your consciousness exists on many planes of being, on the inner planes known to this world as “heaven” or the Summerlands, the fifth dimension and up through the 144 planes of being. You are a multidimensional being of great light, yet it takes great courage and determination to break through human conditioning and admit to such. We, who are your brothers and sisters within the Angelic Realm, are eager to work with you who are embodied on the earth, during this period of intense transformation and change. These are challenging times, yet we are here to assist, to mentor and guide you. For many, the first challenge comes with the need to overcome the fear of death. Once you realize that this is NOT your only life, that you have lived thousands of lifetimes upon this world and many others, there is no longer any fear, other than that coming from the earthly vessel itself. The ego is designed to protect and has done its duty well, but has also succumbed to the conditioning that you were the body and therefore if the body suffers or dies, you are no longer. This is a great untruth that has been told to control the population and to keep them in fear, by those who wish to utilize those fear-driven energies as a food source. All that is dark upon this world has been driven by these forces, which are driven by their own fear and envy of the potential that lies within each human being. They know your secret, that your bodies were designed by the skilled master geneticists of the Galaxy and designed to carry all energetic dimensions within while still being in physical existence. There have been many adaptions to the story of Gaia and her inhabitants, but now it is time to break free from the bonds that have bound you. Paradoxically, you do not do this by fighting the adversary, but by learning to hold greater frequencies of light within your own body structure, so that the sacred centers begin to reactivate. Fighting the “enemy” gives to them power over you, for you are still connected to their energy and they to you. By raising your frequency, you naturally and gracefully remove yourself from their sphere of influence and from their ability to deter you from fulfilling your reason for being here. We strongly urge all of you to listen within to the urging of your soul which comes first through the feelings in the solar plexus center. This power center eventually aligns with the heart and the high heart center (the thymus) to become a unified chakra capable of emanating great power, compassion, and love. Through becoming a source of peace you overcome the powers that would deny humanity their right to take back their birthright and for your beautiful planet to be renewed and resurrected to the state of a living star. Release your fears, anger, frustration, and anxieties. None of these emotions serve your greatest good. These are the debris of lifetimes spent being forced to deny your divinity and the connection with your Soul. Now, with the advent of the tremendous streams of cosmic energies arriving daily from the farthest reaches of the Universe, you have the opportunity to release these old energies and allow your bodies (physical, etheric, emotional and mental) to be washed clean. Only by being willing to surrender to the process, to have faith and trust that you will be safe, can you expand fully into the being you truly are already on higher planes. If you are willing to trust and allow, to drop your defenses and be open to the energies, calm and centered, quiet and serene, you will find yourself becoming aware of receiving further guidance. Since you live upon a free-will planet, within a free-will universe, you can decide to resist or to surrender. It is your choice, although you will find that the choice is made for you by your soul. And you will be continually pestered, although gently… prodded lightly… by those who eagerly await your attendance to their training. We do not desire to control or manipulate or to use you. You have all suffered greatly at the hands of those who have turned away from their own source of divinity within. Now is your opportunity to grow, expand and realign with the fullness of your being. And daily you will be amazed and delighted with what is revealed. This process is not without its ups and downs, as the purging and cleansing must come first and is done in gradual cycles, allowing your body to adjust before continuing on. If you resist, you will find yourself suffering untowardly, without cause. If you surrender, there will still be challenges, but we are here to assist you and to allow your consciousness to expand naturally. Understanding will come if you allow yourself to let go of the need to know every detail of the process. Transformation can come quickly if you so allow, but remember this time your ascension is being accomplished while you are still embodied, and so it will come in increments that can be absorbed. Still, the energies increase daily and so they will prod and poke at those who have not yet awakened and even those who have, who have not yet accepted the necessity to let go of lower desires, wants and needs. Spirit guides the initiate and often in ways that defy human understanding. It is for the initiate, the one who is firmly on the Path of Return, to surrender fully to the process whether or not s/he understands it fully. The knowledge will come when the fear is fully let go and dissolved. If you are not one who resonates to spiritual hierarchies, it is helpful to visualize us as consciousness, as energies that are eager to assist. See us as colors and rays, as beautiful light rays that heal, transform, release, dissolve and create. We are angles of light that emanate from the Source of All That Is. We are fully conscious and obedient to the Will of Mother-Father God, the focus of Creator within this Universe, emanating from the Causal Body of the Great Central Sun. In whatever capacity, we are here to assist you in your journey. I envelop you in the Ray of Transcendence and Transformation, of the multicolored crystalline Ray, which carries within it many colors. Feel it dissolve the knots of resistance within and bring healing and wholeness back to your awareness. This is not done all at once, but in increments, for the sake of the preservation of your body temple so you might ascend physically in this lifetime. Those who do not prepare or have not come to Earth to undergo ascension will leave the planet as the frequency rises. Let them go with your love and compassion, for in their own time, they will rejoin you. 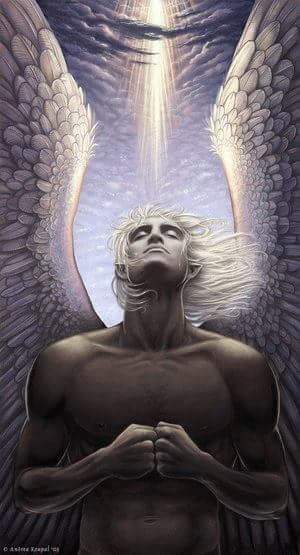 We rejoice in the presence of those who are beginning to listen within and to hear the voice of their own divinity echoing within the silent whispers of the heart. Seek the way that will enable you to regain a sense of balance, to reawaken the courage and fervor of an open heart, to discover the dedication to see that your own divinity is embraced fully and reverently. Your path is your own; we cannot walk it for you or give you what is not earned through your own efforts. Our love will seem tough at times, but only because we do not wish to create a sense of co-dependency wherein you continue to give away your power to other. Ascension is all about SELF-MASTERY; it is all about you accepting that you are more than you seem and capable of great things… and will be as you are able to hold higher light frequencies stable within your own body. This cannot be done without preparation. Heed our words. Allow your heart to guide you to those teachings that suit, with which you resonate, whether they come from within your own heart or through the work of others. And know that you can change the direction of your path as many times as is necessary to discover what it is that you need to unlock the keys of your own sacred being. You may find hidden treasures in strange and unexpected places and will begin to connect with those who are truly your Family of Light, ones who you have known in other places and times, who will be those with whom you might share some future work or are simply here to acknowledge and walk in parallel paths, as support and comfort to each other. There are many blessings that shall rain down upon the heads of humanity in the coming days, weeks and months. Not all these blessings will be accepted by those who are unprepared. They will be overcome with the emotional heaving of one who has begun a serious bout of purging. Yet for those who have prepared and have begun to discover the peace that ever exists within your own heart center, the way forward will be softened and made easier. Focus, calmness, being centered and fully grounding and releasing the energies that move through you in the days ahead is necessary. Do not cling on to what is given, but turn around and freely give it to others. You, dear ones, are conduits of Light and will become Beacons of Light to all those who are seeking a new way of being. You are returning to what you once were in the higher realms, with the vast experience that you have gained through your human lifetimes. You are each a treasure and in time you will be awed with the true magnificence of your own Being. I AM Ezekiel, your brother and I embrace you within my great Heart. Take my hand and walk with me for a time as you go forth upon your great journey of self-discovery and mastery. I AM ever with you and most especially with those who are on the cusp of a great transformation in their lives. My name is translated from the Hebrew language as “the Strength of God”. Let me be your strength that you lean upon so you can go through your trials and challenges with courage, determination, grace, and ease. I AM at your service.